Our Garden transforms at dusk as light installations come to life. Kids will love the toy soldiers, reindeer and the frosty winter pond at the heart of the garden complete with a skating snowman! Take an “Elfie” with friends in Santa’s sleigh or meet the big man himself in his outdoor grotto. The Glittering trees will lead you to the wishing path where you will find Santa has left a magic post-box for all his letters that go straight to the north pole. Inside the house you will find kids activities, including Pick & Paint, paint in your own decoration or ornament & bring home, enjoy hot chocolate and cookies by the fire, mulled wine and cheese boards, or why not book in for our festive Christmas lunch or Afternoon Tea with a seasonal twist. Festive Lunch is available for 12 noon to 4pm, Bubbles & Brunch will be on from 11.30am to 3.30pm on Sunday, so call in for a late breakfast or an early lunch and take a wander around the festive garden. During December we will have some festive delights created by our own Executive Head Chef Ger Dunne in our Pop-up Shop which will include tasty treats like Lemon Curd, Homemade Mincemeat, Jams, Mince Pies and much more. We can also make Bespoke Hampers for that something different Christmas gift. There will also be craft pop up shops from some local and talented crafts people in Kilkenny with some great ideas for Christmas gifts. 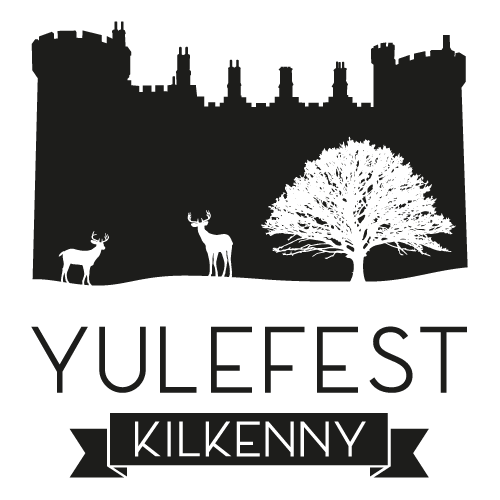 So, come visit this unique destination in our secluded walled garden, enjoy festive fare, music and take some time away from the crowds to soak up a magical Christmas atmosphere in the very heart of Kilkenny. For more info please visit our website or call 056 772 2828.